Not much to say about this one. It's the only full-length release by Critical Mass. 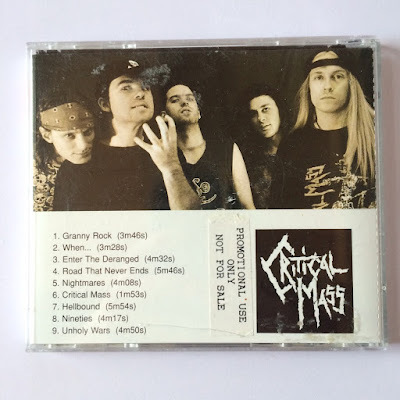 Just great Aussie power metal (yes, power metal for once) with hints of thrash from 1992. I really like the vocals here. 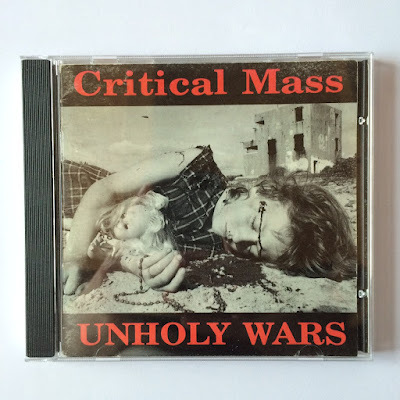 However, the production is very thin (drums don't get through really, and guitars and bass are way too quiet) and hence the result is unfortunately too passive and somehow harmless. 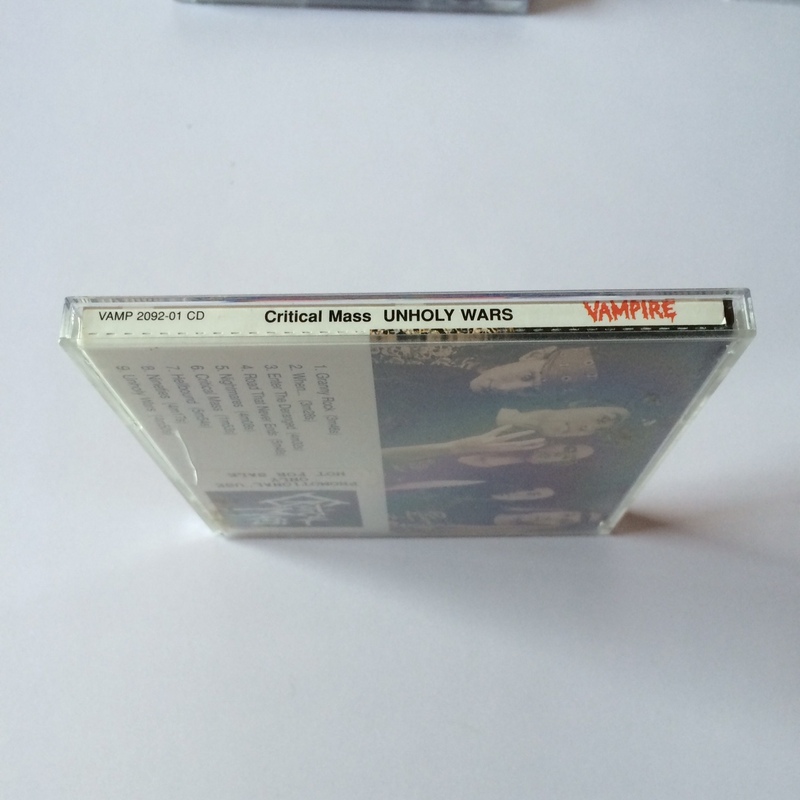 Unholy Wars appeared on Vampire Records, a small label which only had three releases. A black metal record, a death metal record, and this one. The one shown here is the hardest to come by as the others can be bought several times on auction sites right now. I strongly suggest hunting this down however, even if it should be a hard thing to do.